This year my nasturtium bloomed very late in the season. 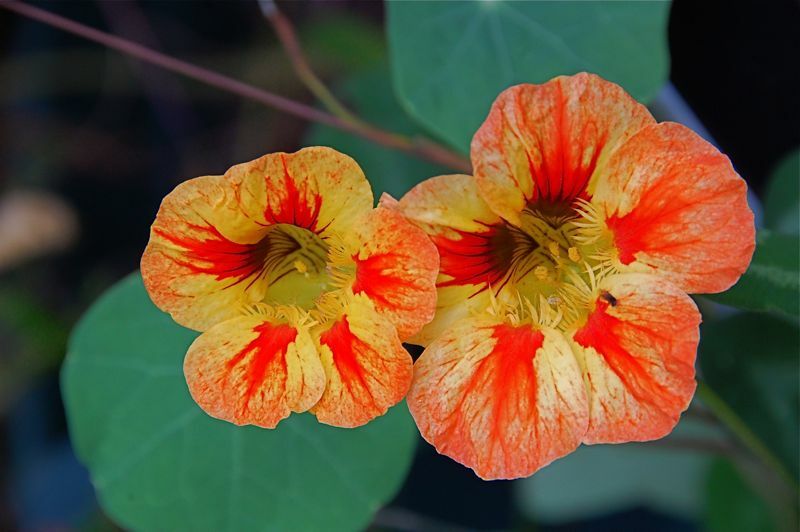 Normally, I plant nasturtium among my vegetables in the garden. This year, the vegetable garden plants had trouble (it may have been rabbit trouble). The few that I planted closer to the house in pots bloomed very late which was lovely as their pretty blossoms dotted the area here and there with some autumnal color.